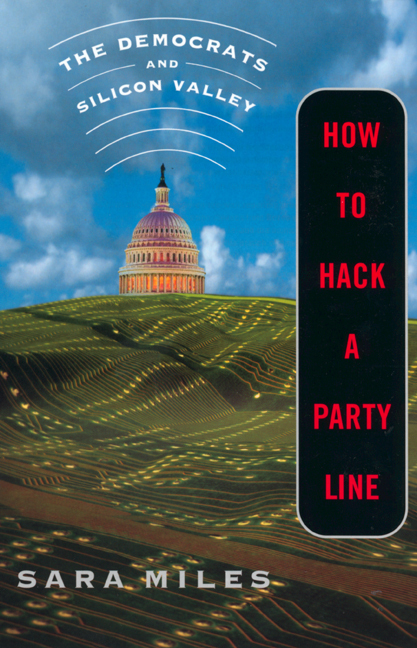 A look at the political awakening that occurred in America's Silicon Valley in the late 1990s, this text offers analyses of, among other things, the digital divide and the nuances of party subdivisions. Sara Miles is a journalist who has covered the politics of Silicon Valley for the New York Times Magazine, Wired, and Wired News. Her work has appeared in numerous publications, including the New Yorker, the New York Times, Mother Jones, and Out magazine. "A sweeping debut not only for the author but for this branch of American poli-sci." --Kirkus Reviews "A well-written account of an interesting time. . . . Miles' book is full of sound observations and telling detail." --Chris Nolan, New York Post "Miles has excellent reporter's instincts and a light, descriptive prose style . . . . A lively and illuminating read." --Steven Johnson, Washington Post "Ms. Miles provides an entertaining snapshot of how politics is done now, which means money, money, money." --Holmans W. Jenkins Jr, The Wall Street Journal "Readers fascinated by either national politics or Silicon Valley will definitely want to read this vivid narrative." --Mary Carroll, Booklist "This will be a big story for years to come, and Miles has provided an entertaining and insightful first chapter." --Robert Turner, Boston Globe "[A] feisty, fearless, insightful look at the political awakening that occurred there in the late 1990s." --Joan O'C. Hamilton, Business Week "[C]harts the parallel rise of high tech in California and pro-business New Democrats in Washington, D.C."